MEMPHIS, TN (WMC) - Two men were injured in a shooting early Friday afternoon on a busy Whitehaven street as students walked home from school. Memphis police say drivers shot at each other on East Holmes Road between Elvis Presley and Millbranch. Police say two men inside a black Infiniti were injured by gunfire just minutes after nearby Havenview Middle dismissed at 2:15 p.m.
MPD says the suspect's car is described as a yellow Chevy Camaro with a black strip and Mississippi tags. "It is a very dangerous situation. And we would love to find those responsible and get those weapons off the street,” said MPD Colonel Mickey Williams, “Unfortunately we have people who don't have much respect for public safety." MPD says one of the victims was in critical condition, and the other in non-critical condition. 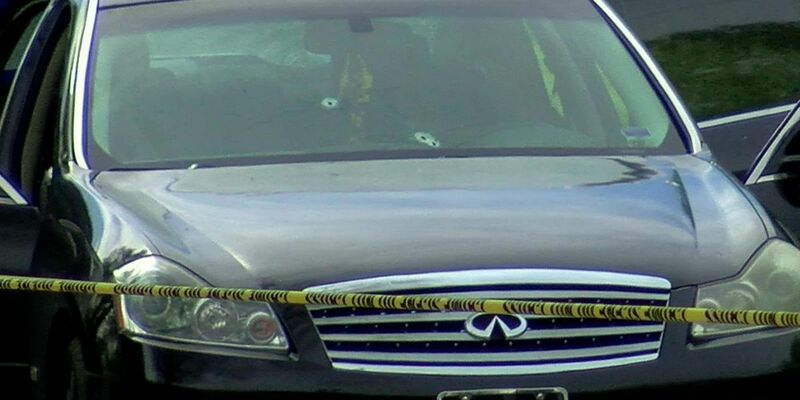 Police haven’t released a description of the other cars involved in the shooting.